This photo shows the "D-Block" of prison cells inside of Alcatraz. The D-Block is known for being the home of some notoriously bad behaved prisoners. Several solitary confinement cells that construced to keep their inhabitants in total darkness at all hours of the day are situated towards the end of the D-block. 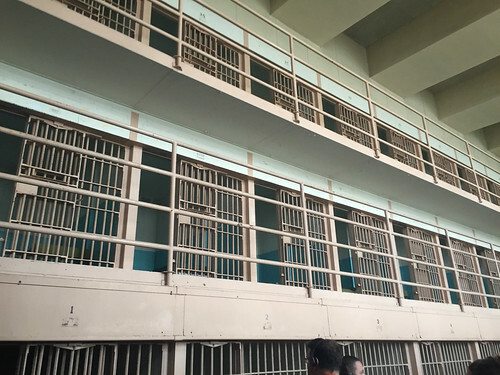 These cells were reserved for badly behaved or defiant prisoners.